The reason of this writing post is to let you know that you don`t need maximum hours to make extra cash from home but to mention ideas for you to make extra money that may take a bit of time and effort before you see results. I want this list to give you inspiration and let you into some ways you may not have thought of. Whether you’ve only got minutes during your lunch break or on your train/bus ride home to make a quick pennies(they do add up fast) or if you are willing to put in the time needed after your full-time job, put in maximum effort, and make more money. No matter whoever you are, if you are in a pinch and need extra cash then doing a little extra work on the side can help you. You can make extra money right from your home or by doing offline side jobs such as babysitting, pet-sitting, etc. Due to so many online scams in the name of online work from home, it is a bit hard to find some legitimate work that can earn you some quick bucks. Some can prove to be slow at making you cash while others can earn you well depending on time and effort you invest in it. Most of us could benefit from it as even earning a few hundred dollars this way can make a difference. In this age of the Internet, making money online has become a legitimate option. From doing paid online surveys to operating an online store, or to do freelancing, there are many ways to make extra cash from home doing online jobs. Online jobs are a better option for people not willing to go out and do that extra work away from home. 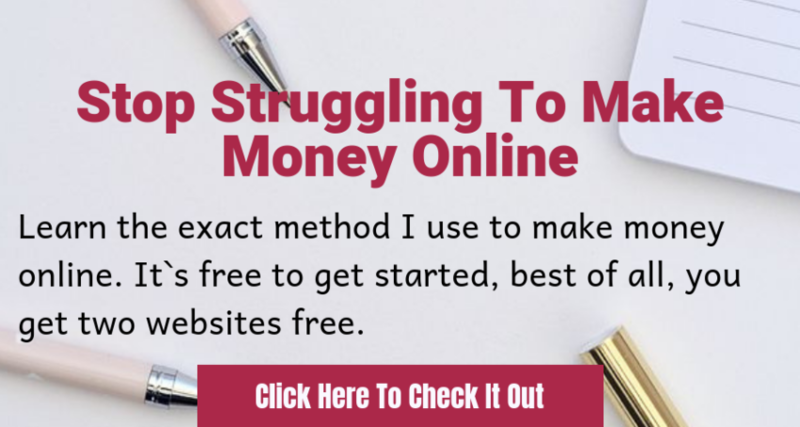 Or if you`re like me, after a hard day at work, you need space and peace then online is the way to go, but this post will look at both offline and online ways to make extra money from home. Listed below are some of the legitimate ways to earn extra money from home. This list is not written in any order as I felt I did not want to list all online work at home jobs first or anything. As always find what works for you and go for it. Nowadays starting a blog has become too easy. You can find step by step tutorials online and design a lucrative blog for yourself. Keep posting good, credible, and interesting content regularly to attract steady traffic. Monetize it after a certain amount of traffic has achieved. It is a long term earning prospect but I do feel making money blogging can generate income for a very long time. Starting an online store is another lucrative online business idea. There are several other online business ideas you can try and start making money. These are offline jobs that never run out. To survive in this competitive world, often both parents work tirelessly to make the ends meet. In such cases, children and pets need to be left in the care of a responsible person. You can be that one person they are looking for. Build trust and understanding with people to attract such jobs. You can easily make good money each month or each sitting job especially if it is the last minute sitting job. Join online survey sites that are legitimate such as Swagbucks, Survey Junkie, Inbox Dollars, OneOpinion, American Consumer Opinion, MySurvey, and Pinecone Research. Participate in the surveys to make quick bucks. All you have to do is offer your honest opinion on the product or service. You can do that by answering the questions in the survey honestly. If you like watching videos in your spare time, why not earn some cash while doing it? You can get paid for watching movie previews, YouTube, and all sorts of videos online. Websites like Swagbucks have videos for you to watch and like. You need to watch the said video for a certain number of minutes as specified which earns you points. You can easily earn over $200 a month doing this. You can now get paid for downloading and installing the apps of certain companies. There are a lot of companies that offer to pay for that including Google. Some of these sites are ShopTracker, Nielsen Mobile Panel, and MobileXpression. Visit a newly uploaded website to test it out. Share your thoughts on whether the website works well or not and get paid for your reviewing the website. The owners compensate the reviewers handsomely. You can earn around $30 an hour. The clientele includes Apple, Microsoft, Adobe, and several other Fortune 500 companies. AchieveMint is a health app that gives you points for each task you complete necessary to maintain good health. These tasks include walking, eating healthy, tracking your food habits, or doing health surveys. Each point earned can be redeemed for cash or an Amazon Gift Card. This is a no brainer. If you are good at writing, become a freelance writer. If you are good at web design, you can become a freelance web designer. There is no limit to what services you can offer as a freelancer if you are good at it. Freelancing can greatly help increase your earnings. Check an earlier post on freelancing here. Sites like Upwork offer thousands of job prospects for freelancers. Work diligently on earning a great reputation and this can even become your full-time job. Besides Upwork, other sites are trustworthy for freelancing such as PeoplePerHour, Freelancer, writer and Demand Media. You can pick your payment depending on the type of each project. A virtual assistant (VA) do everything regular assistance do while sitting at home. Be it checking emails, making travel plans, handling internet research or even for small businesses. A high-in-demand VA can ask for $50-$100 an hour for each job or project. Upwork and Zirtual are good websites for looking up VA jobs. Giving private tuition whether online or offline is a good way to make extra cash. Dedicating a couple of hours daily to it and eventually, it can even become your full-time job. Write reviews for products and you can earn $1 to $50 for each review as specified in the requirement. Amazon reviews are one such example. Change your search engine to Bing and make it your default as it pays you for your regular searches. You can earn credits which you can later redeem for gift cards. You can make about $5 to $10 per month. Make sure to stay signed-in while searching. If you have a good, accurate and a quick typing skill then use it to enter information. Sites like Craigslist or Upwork offer many data entry and administrative jobs opportunities that you can grab for yourself. These data entry jobs could be easily done via telecommuting. Do micro-tasking for Amazon Mechanical Turk which needs human interaction. These tasks involve: Correcting the spelling for search terms, search item code number of a product, rating an item, comparing the products, choosing the correct category for a product, etc. The travel business is increasingly gaining popularity. You can open your travel business offline as well as online. Explore travel websites for a commission. Do that by offering your services in place of travel agencies at a lower price and yet make a profit. Many websites pay for playing online games such as Clixsense. You can have fun while earning for free. They also offer rewards. The Fan pages on Twitter or Facebook needs human interaction and a way to connect with people and keep them interested. Websites like Fiverr offer to manage your social media for a set price. For running an online business as well, a social media presence is important today. So, this is a good job prospect. This is a highly sought after job that you can do. You will need to get required certificates and permits as per your city, state or country. You can make good money taking care of children while staying at home with your children. If you have good handwriting and are good at Calligraphy then do hand lettering for cards used in weddings or a usual invite card. The Etsy Calligraphy section is a good place to start looking. You can consider running a small catering business of your own. Do make sure that you get proper permits and the needful taken care of for the same. If you are not using it then rent it out to get some cash. You can make use of Spinlister.com to rent out gear. For music instruments, use Sparkplug. If you have some collectibles that you don’t need anymore, then sell them to make some quick cash. If you own an antique, have them appraised before putting them up for sale. You can sell your phone on Amazon. It could be an old cell phone or a new one. Amazon gives gift cards for any working iPhone and websites like the Decluttr gives you cash for an old phone. A rapidly increasing business market for tourists and travelers. Open your home for tourists if you have extra space to share for some time. Airbnb provides a safe and secure way to rent out a room or living space at good prices. A good reputation build up will attract more customers to ensure that your guests feel safe and comfortable while at your place. 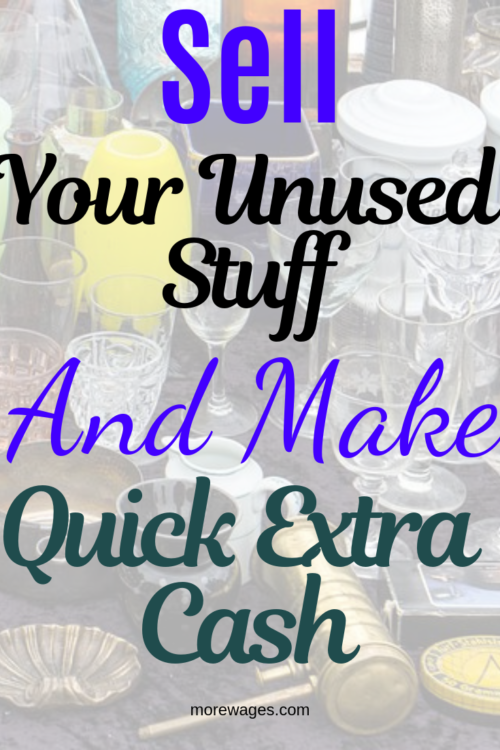 A tried and tested a way to earn money is a garage sale. Now with internet in the picture, make your garage sale online to attract more customers and good price. Consider putting an advertisement on eBay, Craigslist, or even Facebook groups. Old or even regular books can be sold online that can make you some quick cash. Stores such as Half Priced Books, thriftbooks.com BookScouter and Amazon seller app can help you find the market for selling books. Sites such as eBates offer cashback when you do shopping at their stores. It could be discount offers or cash back deals. Check this post on how ebates work if you missed it. There are cashback sites like Mr.Rebates that do not only pay you cash back on your purchases, but you get paid 20% if you invite a friend and they make a purchase, these add up fast and you only have to invite the friend once and you keep earning. This is not a way of making extra money but do you know how much you have in your coins tin? Did you know you can cash in your coins and have that $10,20,30 you want now? At Coinstar.com you can change your coins for cash immediately without extra charges. When you hit the internet to search for a good work from home opportunity to earn money, the internet reveals a large number of scams that get disappointing. These scams charge you fees that you have to pay for upfront which they promise to make you huge amounts of money to lure you in. This is a good indication of a scam. Try to avoid such scams. But as you`ve read on this post, not every opportunity of online work at home jobs require an investment of any kind. Having said that, if you feel there is something you`re interested in doing to earn extra cash but lack the know-how, there are affordable online courses you can take to acquire the skills you need. Wow this post is so thorough. Most of the time I read these posts and see the same suggestions, but you had a bunch of new ideas in here. I’ll have to try some! Thanks, I wanted to give enough suggestions so anyone could get something they can do to earn extra money from home because as it is, most of us struggle financially. This is a great article. You have included many types of revenue venues. I appreciate your ideas. Thank you for sharing. Thanks for stopping by, happy you found the post useful. Being a freelancer myself, I could relate to this story on many levels. It goes without saying that how useful this article is. Will keep on looking at the blog for more such amazing content. Glad you found the post useful, I admire you for being a freelancer as I do struggle with words, I`m a blogger but not a writer. Love these super simple ways to earn money from home! I’m always looking for more ideas! Glad you found the post helpful.What are your tips to earning money from home? These are fantastic ideas to make money online – love taking the survey’s, playing video games, and watching youtube videos, easy and fun. I am going to pass this list along to some of my friends that are wanting to make some extra cash on the side – Thank you so much for sharing! Glad you found the post useful, most of these jobs can be done without some fancy degree and are quite easy to come by so there is no excuse for not earning extra income for anyone.